I know what that weariness is about. So do you. Especially in ministry to others, there are times when you’ve poured so much energy into the ministry that you truly don’t think you can do it another day. But God–Who has unlimited resources–stands ready to give us inner strength to work another day, if only we will ask. Whatever He gives us to do in His Name, He also gives the power to perform. That covers everything from serving in the home with small children and a husband to serving in church ministries to serving in a foreign land. It includes serving as a prayer warrior, as a testimony at work, as man who is husband and father and must lead his family. All believers are named as such by God. On earth, we call ourselves Christians, after Christ Jesus. The word actually meant “little Christs,” and was somewhat derisive when applied by unbelievers. 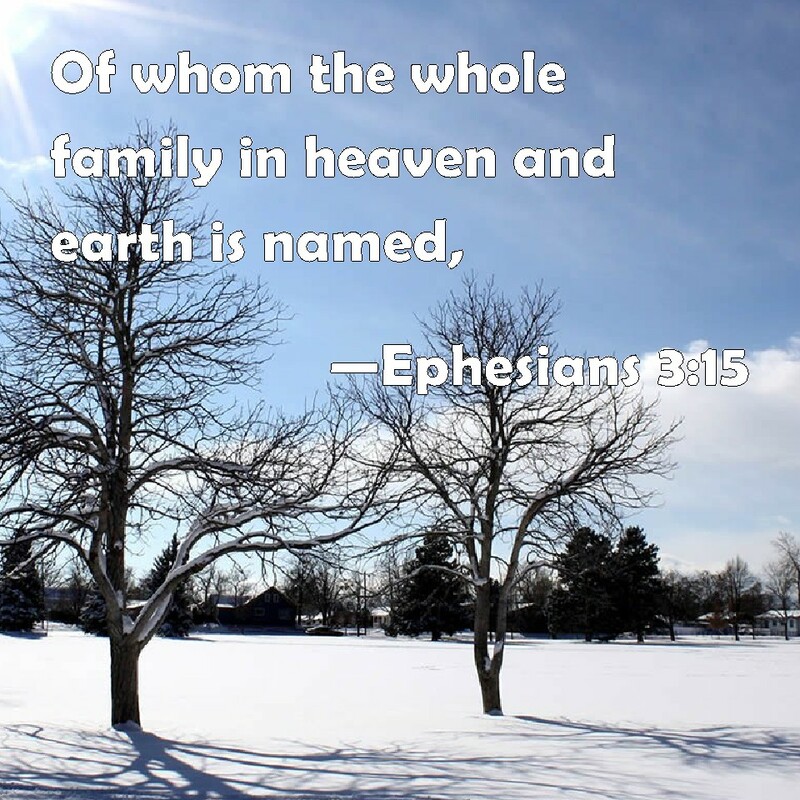 Many in the family of believers are already in heaven, and we are all named of God. Maybe He calls us Christians, too. I don’t know. What I do know is that He knows each of us (Psalm 139) in an intimate and specific way; He has known us before the world began, and that is hard for us to understand. What helps me with that is to remember that God does not function according to time, as we do. The past, present and future are all one to Him. His ways, His thoughts, are higher than our ways and our thought. Chapters 1 and 2 contained Paul’s prayer for knowledge. In this chapter, we are privileged to share his prayer for love. “For this cause. . . .” For what cause? It is because of his deep interest in the people of God, because of his desire that they should enter fully into their privileges in Christ, and understand the great mystery of which he had spoken that Paul goes to his knees before God in behalf of other believers. I’d like to suggest you read verses 14-21 each day as we walk through this passage. You will be blessed. Another translations says, “Do not be disgraced by my sufferings for you.” We need to remember that Ephesians is one of the “prison epistles,” written while Paul was incarcerated because of his fearless preaching and his outspoken defense of the gospel. One thinks of Saeed Abedini, who was recently released from a three-year incarceration. I watched the video that has been on Facebook, observing the difficulty he seemed to have in coming down the steps from the airplane to meet his parents here in the States. He would have said the same thing. It is not a shameful thing to be persecuted for Christ. It is not a shameful thing to be identified with someone who is being persecuted. Rather, we should glory in knowing that God was there during the whole ordeal. and the cause of Christ is alive and well today just as it was in Paul’s day. It’s Friday, but my usual Friday Counseling Issues post didn’t happen. Several things going on. For one, my PC is on the fritz, and I usually do my blog posts there. Second, I had a doctor’s appointment at 8:45 this morning. And very good news! My A1C has come down from a high of 8.9 to 7.5 to 7.1, held there for about six months, and today it’s at 6.7! Yay, Me! I’ve been tracking carbs since early October. I’ve lost 17 pounds. Also, I started swimming in October, and I’m doing 25 laps now. A mile is 33 laps. So my doc is very pleased with me, and I’m feeling pretty good. At one this afternoon, I had a class I’m teaching on research papers. Twelve really nice kids who are all homeschooled, and they’re all doing a great job. On my way home I stopped at my daughter’s, then made a quick Walmart run. So my normal Friday wasn’t so normal. It’s snowing, a big storm that’s supposed to last all day tomorrow. Chicken Little is alive and well. People get so churned up, partly because the news scares you half to death with all their dire predictions. A little common sense goes a long way, so batten down the hatches and enjoy taking a day off, if you can. If you are an “essential person” like an EMT, medical staff, and so on, then my prayers are with you as you drive back and forth. I am thankful for you, for the truck drivers that keep the road cleared, for the law enforcement people who don’t get the day off. There’s a huge snowstorm coming our way, and Chicken Little is alive and well up and down the east coast. The sky indeed would seem to be falling. Frankly, I see it as a great opportunity to train in and secure for a day or two. It’s supposed to snow all day tomorrow. Maybe I’ll get back on track with the blogging, but not tonight. I feel a very relaxing evening tonight, and a nice quiet day tomorrow. God has always had a plan, a purpose. Nothing, no one, will stand in His way. What may seem like a setback to us now is only a hiccup to God. 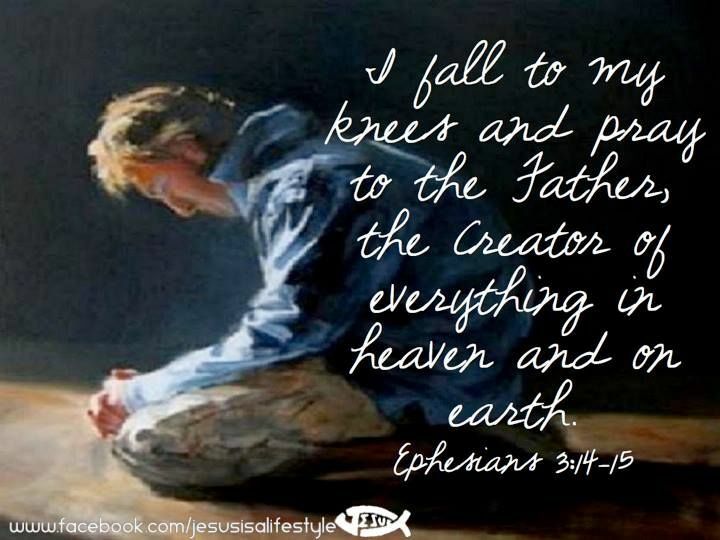 His ways, His thoughts, are so much higher than ours. They are higher, even, then other so-called faiths that threaten us, or government systems that try to shut down the Word of God. Because of the death and resurrection of Jesus Christ, Who gave us access to God, we can have boldness and confidence to approach Him as beloved children. Boldness, not arrogance. Not self-righteousness. Not self-confidence. Not self-anything. If we would only get SELF out of the way, what a difference it would make in our personal lives, in our churches, in our nation. We can have confidence that God wants to hear us, wants to give us what we need and even what we want.